A .7-mile closed loop in Mira Mesa will make for great viewing on April 1st as a home-town club brings a full day of spectacular bicycle racing to San Diego. Cyclo-Vets have a 29-year history of providing riders of all categories (families welcome) an organized program for becoming a better rider. The club has taken many casual riders off the street and turned them into Master’s-level national and world champions. The annual event on April 1st is also part of Cyclo-Vet’s program approach to better cycling for all riders, with this event focusing on the highest level of amateur racing. 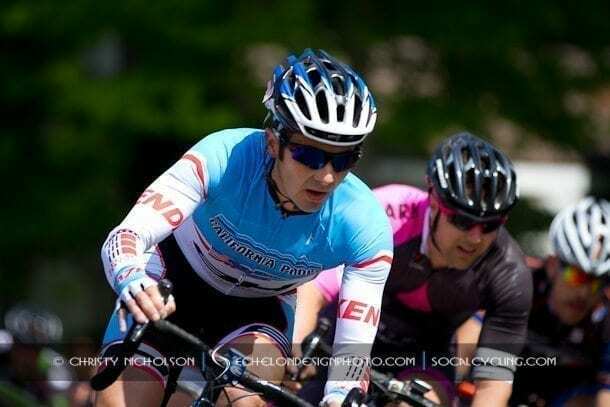 Racers will come from all over the country to compete starting at 7 a.m. with the final race at 4:15 p.m. Cyclo-Vets Club also sponsors, as part of this race, the state championships for “Super Masters”, racers over 55 for women and 65 for men. Winners in each 5-year age group will wear the State Bear jersey for 2011. Come and watch the competition, fueled by a big prize list and many “primes” or prizes on specific laps of each race. The races will be on Heunnekens and Waples Streets, in Mira Mesa. This is a safe, closed course with San Diego Police present for traffic enforcement. Most importantly, if this event gives you dreams of improving your riding skills, maybe even racing some day, check out their web page at cyclo-vets.org. Cyclo-Vets is a 501K nonprofit and invites new riders come to their introductory rides on Saturday mornings.